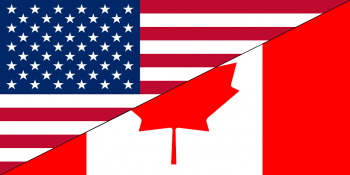 The USA clearly leads Canada when it comes to laws accommodating people with disabilities. Provides a clear statement for the elimination of discrimination against people with disabilities. Provides clear, strong, consistent and enforceable standards addressing discrimination against individuals with disabilities. Ensures that the federal government plays a central role in enforcing the aforementioned standards. Regulates in order to address the major areas of discrimination faced everyday by disabled people. This historic legislation gave disabled people legal rights to be full participants with life and set in motion a huge legacy. In the States, there are many areas improved by the law to be more accessible to people. For an example, physical barriers in organizations are being torn down every day—schools, stores, sports stadiums, government buildings and public transit are now accessible to people with mobility impairments. The ADA empowered many people with disabilities as well—the passing of the legislation led to debates over institutionalizing disabled people. In 1999, the US Supreme Court declared that institutionalizing disabled people against their wishes violated the ADA and they deserved the right to choose to live in a setting that best fit their needs. Thousands of disabled people got the chance to leave institutional care in facilities such as hospitals and nursing homes so they would receive care in their communities and keep in contact with their friends and families. The ADA also influenced individuals without disabilities in USA to have progressive views and attitudes toward people with disabilities. Discrimination is no longer tolerated, both in and outside the workplace. In stark contrast, Canada currently has no complete legislation protecting the rights of Canadians with disabilities. Currently only one province, Ontario, has a provincial law protecting people with disabilities living in the province, and even the province is far from perfect when it comes to handling the living standards of disabled people. Often we hear too many stories about immigrants trying to move to Canada permanently being turned away by the national government because the applicants either have a disability themselves, or their family/significant other has a disability. Usually this leads to major power struggles through long and time-consuming legal battles just to get the right to live in a country known for their tolerance and acceptance. Even if we have the Canadian Charter of Rights and Freedoms (guarantees that disabled people have the right to equal protection and benefit of the law without any discrimination), and the Canadian Human Rights Act (prohibiting discrimination), and provincial human rights codes, we as Canadians are not still fully proactive when it comes to treatment of Canadians living with disabilities. Canada continues to treat inclusiveness for people with disabilities as a privilege instead of a right. Canada is a beautiful and safe country to live in, but we need to learn from our neighboring country when it comes to issues with disabled residents.